European Council president Donald Tusk will travel to Dublin on Friday (1 December) as the deadline for a Brexit deal, including an agreement on the Irish border, looms. Tusk will discuss Brexit with Irish prime minister Leo Varadkar, focusing on "how to avoid a hard border on the island of Ireland", his spokesman said. Tusk's visit is a signal that the EU will continue to back Ireland's stance. Dublin is seeking to maintain the rest of the EU's backing its position on the 482km-long border with Northern Ireland ahead of crucial meetings in Brussels on Monday (4 December) and a summit later in December. Avoiding a hard customs border is a political priority for both the EU-27 and the UK, but the EU expects the UK to spell out how exactly it wants to avert future border checks there. The Republic of Ireland wants Britain to give written guarantees on how it will ensure that Northern Ireland will not diverge from EU regulations after Brexit, in order to avoid checks. 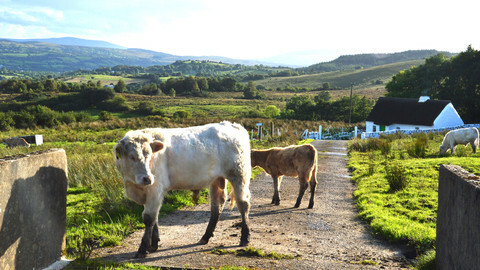 While maintaining the integrity of the single market, and avoiding a backdoor into Ireland is key for the EU, many fear that a hard border would cut local ties and possibly rekindle sectarian violence on the island of Ireland. 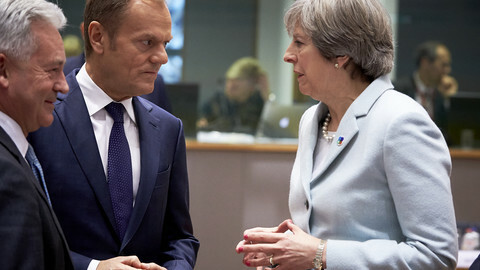 Tusk last week said that Monday an "absolute deadline" for the UK to make proposals was on the key Brexit issues, including Ireland. 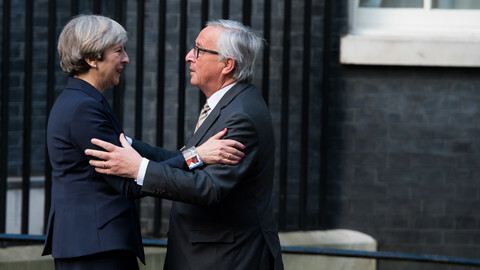 On that day, British prime minister Theresa May will travel to Brussels to meet with European Commission president Jean-Claude Juncker, and present her proposals. She hopes those will be enough for EU leaders to declare at summit, in mid-December, that Brexit negotiations have reached "sufficient progress" and would unlock talks on transition and future relations. The EU has so far been unanimous in supporting the Irish position, but pressure could grow on that solidarity if all other issues are sorted. As part of the Brexit financial settlement, which has so far been the key hurdle to moving onto the second phase of the talks, the UK has this week pledged to pay most of what the EU has asked for. 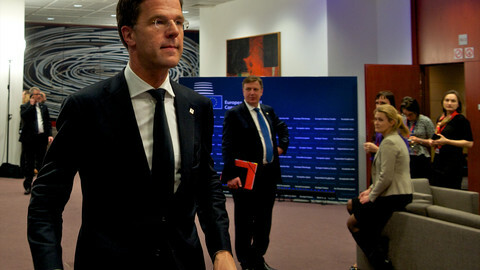 "What has been decided by 28, would be paid by 28," said an EU source familiar with the talks. 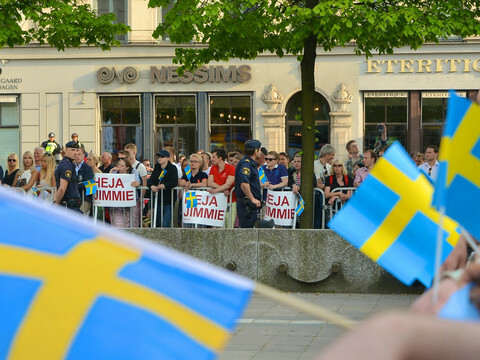 It has also accepted the EU's methodology for calculating its share of the burden. This means that besides the EU budget, the UK has offered to pay for all the EU funds and facilities, such as the Turkey Fund, the European Development Fund, the European Investment Bank – on the condition that everything else in the negotiations falls into place - including the Irish border issue. The financial offer to the 27 to pay for essentially all the UK commitments could be perceived as thinly-veiled attempt to isolate the Irish position. "The UK wanted to make the move onto the second phase more attractive for the all the other EU countries," said an EU source. Irish PM Varadkar on Wednesday told his parliament that he did not believe Ireland would have to use a veto at the EU summit next month if the British refuse to give adequate commitments on the border. "I am very confident that the European Council will operate by consensus and there will be no need to use or threaten to use a veto," he said. 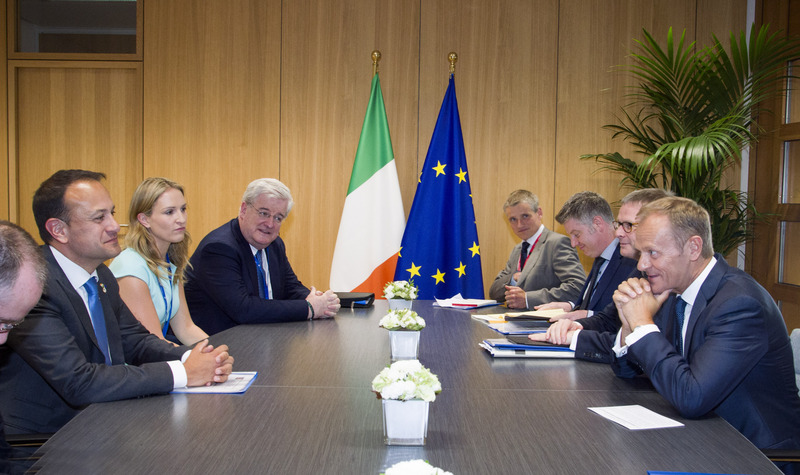 EU, UK and Irish officials are deeply involved in wording a compromise that would mean enough guarantees for Ireland on the regulatory and border checks issue, while saving the UK government from committing to EU customs rules for now. In the meantime Varadkar appointed foreign minister Simon Coveney as his deputy, saying "this will enhance his position across Europe in our vital Brexit negotiations". The UK has agreed to pay the EU over €50 billion for its Brexit divorce settlement, paving the way for talks on a future trade deal. 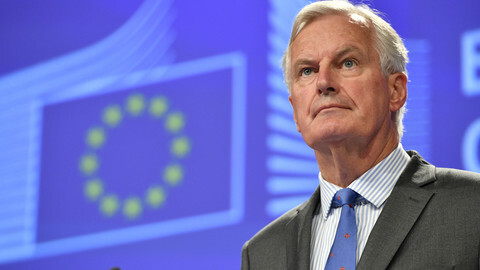 The EU's chief Brexit negotiator dismissed reports on a 'deal' on the divorce bill with the UK, as the Irish border issue remains a key hurdle to move negotiations into the second phase after the December summit. EU Brexit negotiator tells UK to come up with solutions to the Irish border issue and prepare to include a level playing field in its future trade deal with the EU, if it is to be ratified by member states. British prime minister Theresa May was told to make progress on the financial settlement, and Ireland, before talks can move to the next phase. Unionists say Northern Ireland cannot remain 'half in the EU', as House of Commons committee call plan for a frictionless border 'untested' and 'speculative'. 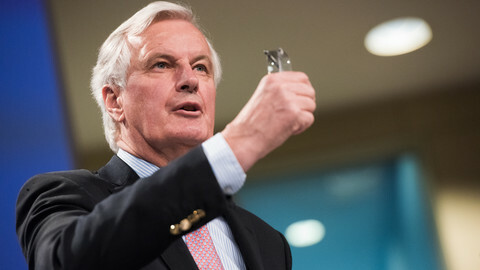 Irish border will be key element in the decision on second phase of Brexit talks, but EU leaders will follow assessment of chief negotiator Barnier.